1. Have your carpets cleaned by a professional. Vacuum cleaners and consumer-grade steam cleaners are good for removing dust, crumbs, and other debris from the surface of your carpets. However, they aren’t capable of killing the bacteria that builds up within the deeper layers of carpeting over time. For that, you’ll need professional hot water extraction cleaning. During hot water extraction, jets of boiling hot water are injected into carpets and then sucked out immediately afterwards. The heat of the water kills bacteria instantly, and removing the water promptly ensures that lingering dampness doesn’t encourage mold growth. Consumer-grade steam cleaners, by contrast, often “soak” carpets with hot water, creating future problems with mold and mildew. 2. Make sure you and any guests you have don’t wear shoes indoors. After you have your carpets cleaned, the last thing you’ll want to do is track fresh bacteria indoors. Make sure everyone who enters your home removes their shoes at the door, even if they’re just making a quick trip inside. It’s also a good idea to keep hand sanitizer near the door so that you and your guests can easily disinfect your hands before entering your home. 3. Clean your bedroom and the nursery with green cleaning products. Many chemicals that are safe for use around adults have the potential to cause harm to a newborn. As such, when you sanitize the hard surfaces in your baby’s room, you should avoid the use of cleaners that contain bleach and other harsh chemicals. You should treat your room the same way, too, as your baby will probably sleep close to you for the first few months. Natural cleaning agents, like distilled white vinegar and lemon juice, can eradicate bacteria without leaving dangerous residue behind. You can also buy bottled green cleaning products if you feel more comfortable using store-bought cleaning solutions. 4. Dust your home from top to bottom. Dust mites are one of the most common household allergens. They can irritate the respiratory systems of adults and children alike, making us more susceptible to colds and infections. Before you bring your baby home, you should therefore dust your home thoroughly. Remember to dust even hard to reach places, like the tops of cabinets, shelves, and the spaces behind furniture and appliances. 5. Identify the most bacteria-ridden areas of your home and sanitize them. You probably already regularly sanitize the hard surfaces in your kitchen and bathrooms, but it’s easy to overlook smaller areas where germs congregate. In addition to cleaning light switches and doorknobs, you should carefully sanitize all of the faucets and sinks in your home. Furthermore, don’t forget to clean your toothbrush holder, launder your washcloths and towels, and disinfect all of your cutting boards. If your cutting boards appear old and worn, replace them; as materials degrade, they become more porous and difficult to clean properly. Before your baby comes home, stock up on disinfectant wipes. This way, you’ll be able to quickly wipe down doorknobs, light switches, and hard surfaces in between proper cleaning sessions. 6. Give your home a thorough deep cleaning. After your baby arrives, you’ll want to be able to clean your home properly in as little time as possible. To make effective maintenance cleaning easier, take the time to deep clean your home before your baby is born. During deep cleaning, you’ll de-clutter your home, removing any items you don’t actually need. This serves the dual purpose of giving you less stuff to keep tidy and removing any obstacles that might otherwise block your path while you’re cleaning. Deep cleaning will also take care of the many small details, like cleaning vents and baseboards, that you’re bound to overlook once you’re busy with your infant. Attending to these often neglected areas can go a long way towards reducing the amount of dust, allergens, and bacteria in your home. 7. Install air cleaners throughout your home. Need Help Cleaning Your Home in Time for Parenthood? Between busy work schedules and the physical impact of pregnancy, it can be hard for either parent to find the time to thoroughly deep clean their house in the weeks before a new baby arrives. To reduce stress and ensure truly hygienic results, you may find it easier to simply hire domestic cleaners to do the job for you. Most cleaners will be willing to work on a temporary basis while you adjust to looking after a newborn, so if you don’t want to commit to a long-term contract, you won’t have to. 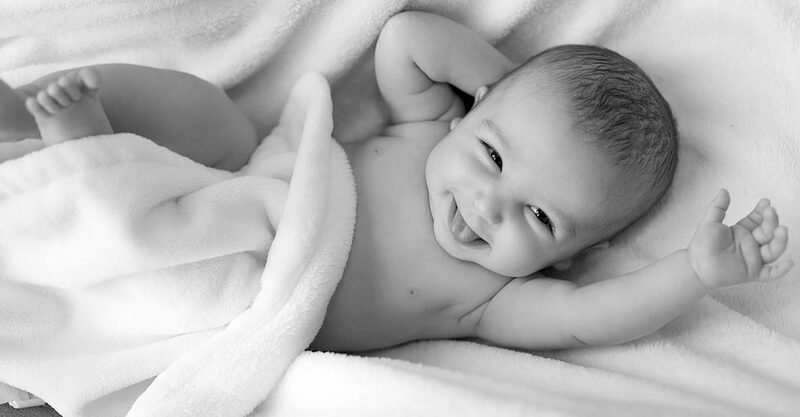 Feel free to contact us to learn more about how professional cleaning can help you prepare for a new baby.